Married to the Cyborg has a release date…Sept. 16! Charge up your Kindles, Nooks and other e-readers. Married to the Cyborg will be released Friday, September 16. 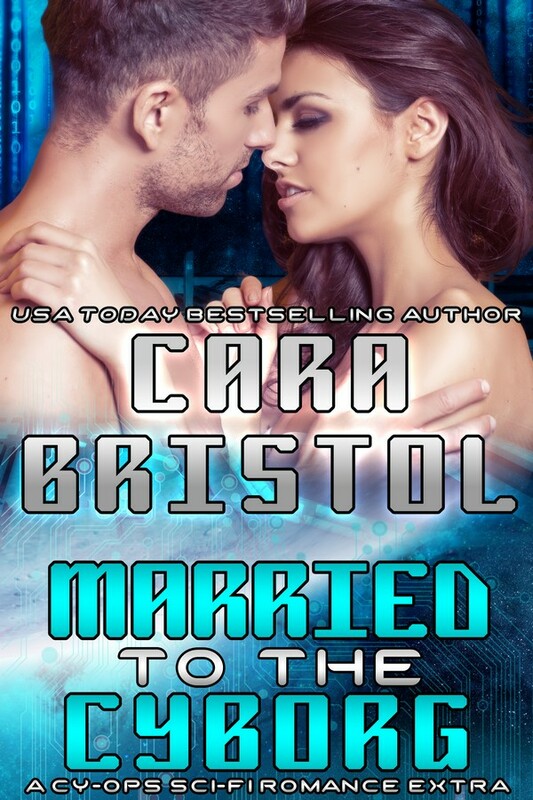 Married to the Cyborg is a brand new, standalone story in the Cy-Ops Sci-fi Romance series. It is a spinoff from Stranded with the Cyborg, book 1 of the series, and tells what happens to the hero and heroine when their book ended. You don’t have to have read Stranded with the Cyborg to enjoy Married to the Cyborg, and there are no spoilers in Married. After reading Married, you can still read Stranded and be surprised. But if you have read the other romances in the series, you’ll probably enjoy seeing what some familiar characters are up to now. Married to the Cyborg will be FREE but will only be available to newsletter subscribers. This is my way of saying thank you to my readership and fans. If you’re a subscriber, on Friday, Sept. 16, you’ll receive a newsletter with link allowing you to download Married to the Cyborg for free. If you’re not a subscriber, you can be! Sign up here. This entry was posted in My romances and tagged author newsletter, Cara Bristol, Cy-Ops Sci-fi Romance series, Free books, Married to the Cyborg, science fiction romance. Bookmark the permalink.